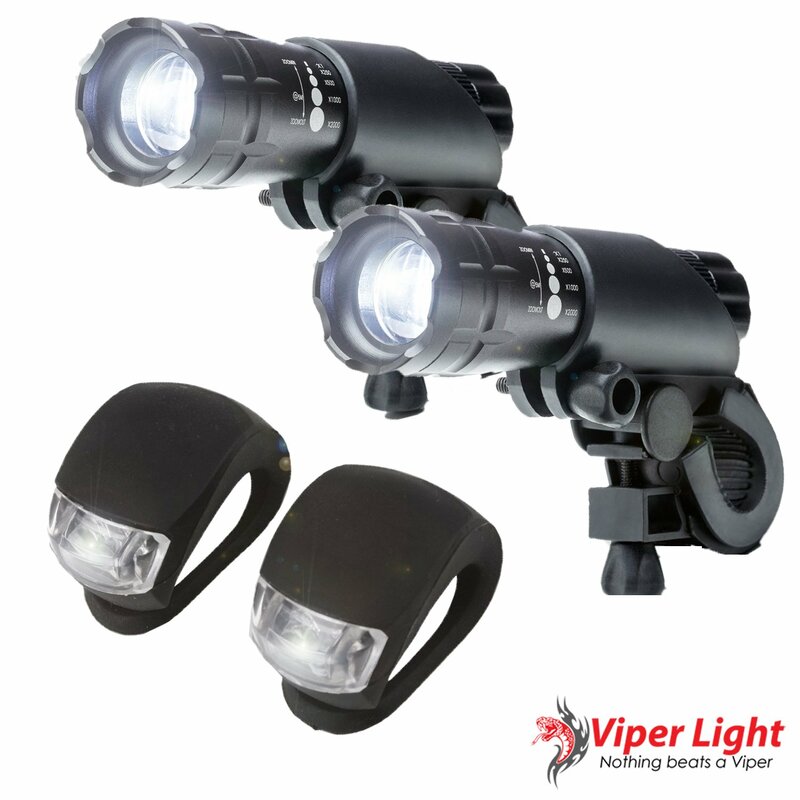 Home › Bike Light Set - 300 Lumens Super Bright Led Lights Easy To Mount In Front An..
Bike Light Set - 300 Lumens Super Bright Led Lights Easy To Mount In Front An..
NO TOOL REQUIRED : Easily installs in seconds without tools. Simple to slip in and out of bike holder. Made of High Quality Solid Aluminum alloy material that surely last long. 3 POWERFUL SETTINGS : HIGH / LOW / STROBE - Multi- purpose light and also great for camping, hiking, walking, fishing, running and most importantly BIKING! ORDER NOW WITH NO RISK - We've got you covered! 100% SATISFACTION GUARANTEE- Your satisfaction is our guarantee! If you aren't happy with the Viper Light XP-2000 and rear light for ANY reason within 30 days of purchase, let us know and you get your money back! That's how confident we are that you will love it! TAKE YOUR BIKING EXPERIENCE TO A WHOLE NEW LEVEL W/ OUR VIPER LIGHT 300 LUMENS! Best Xtreme Bright Bike Light Set for a reasonable price! THIS IS OUR SPECIAL LIMITED TIME INTRODUCTORY PRICE! What are you waiting for? >> Hurry! Scroll Up & Click the yellow "Add to Cart" button now! Be safe &Be Seen at Night! Purchase it on Amazon right now!